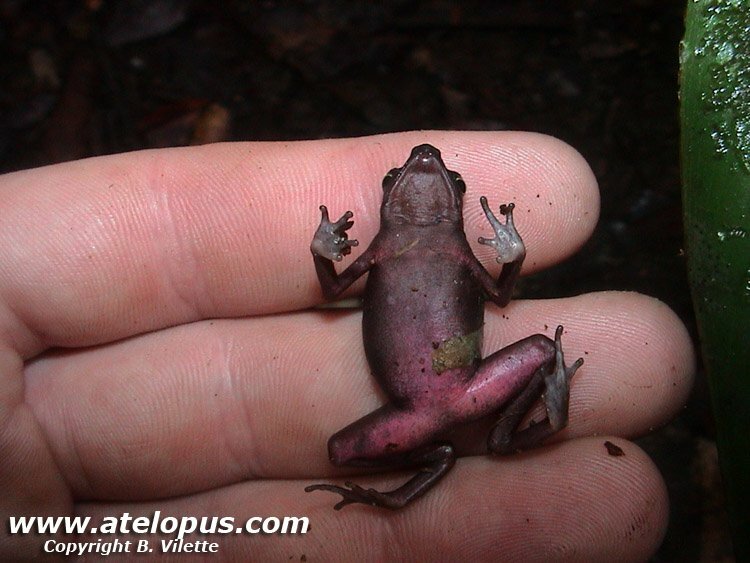 Size male: 26 - 29 mm. 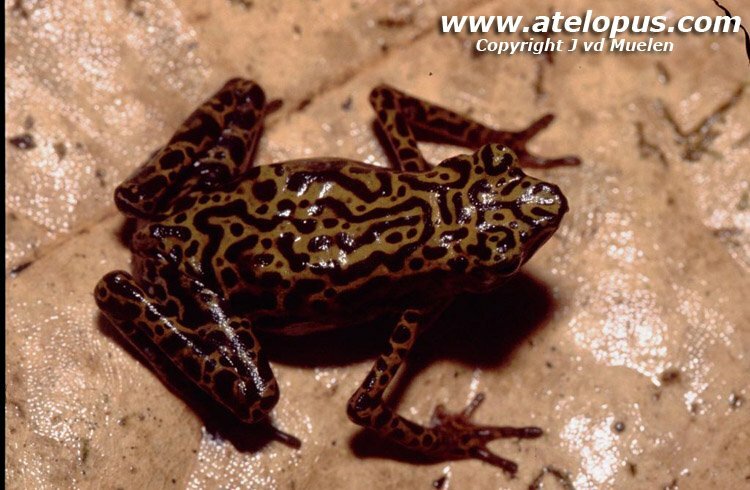 Size female: 31 - 39 mm. 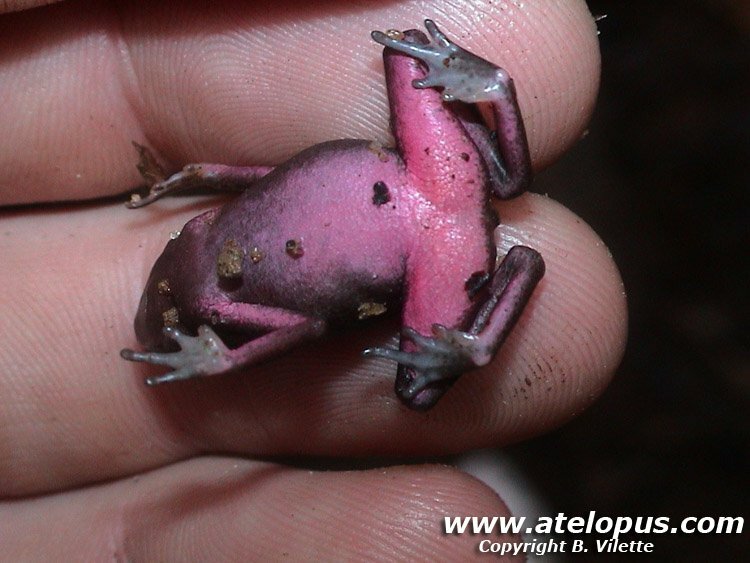 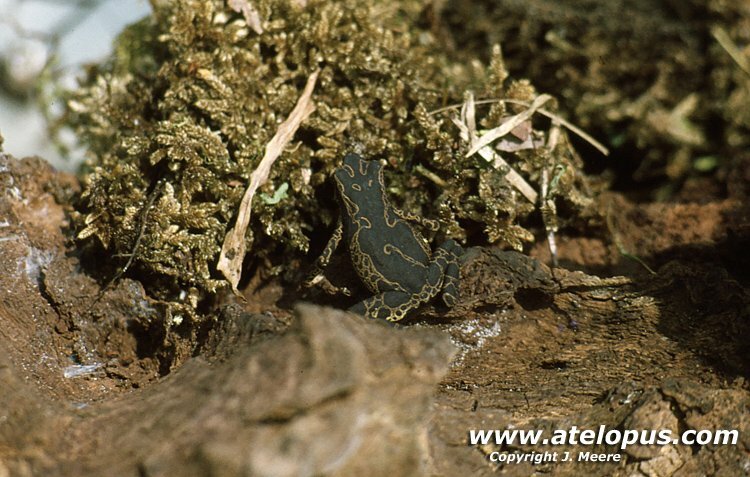 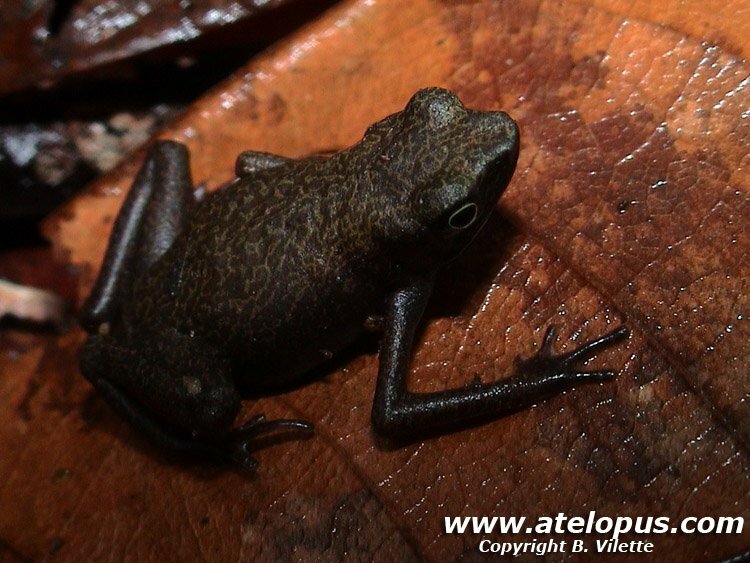 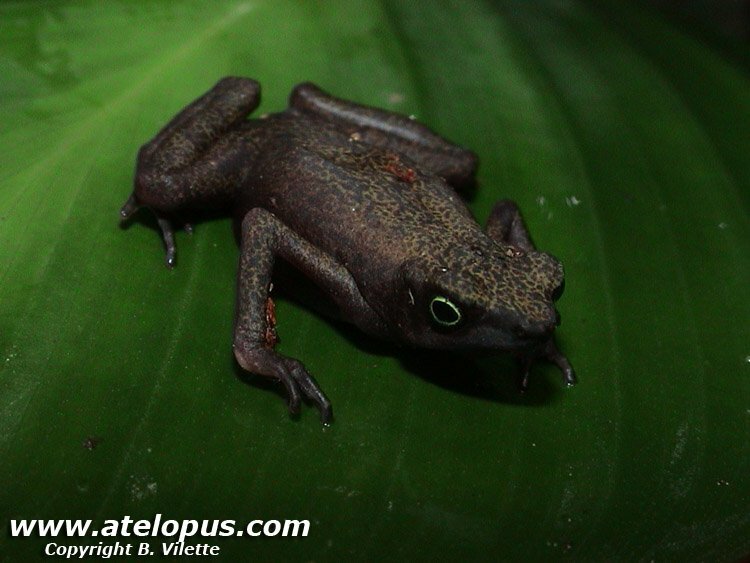 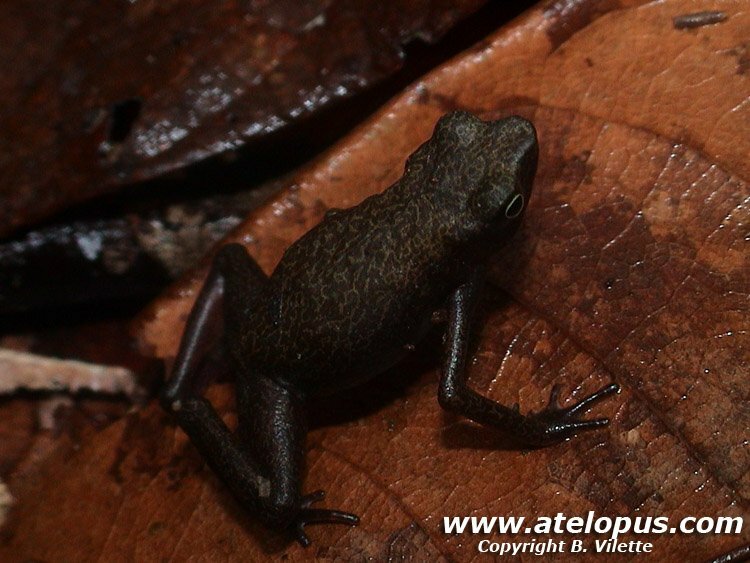 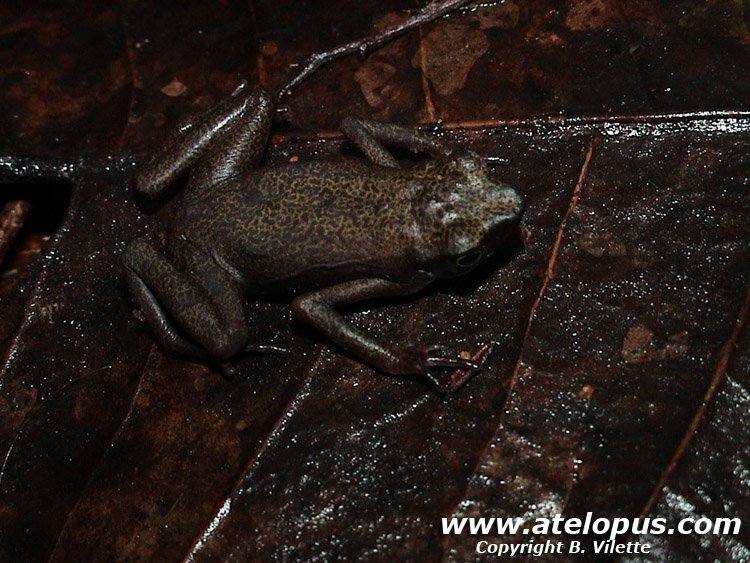 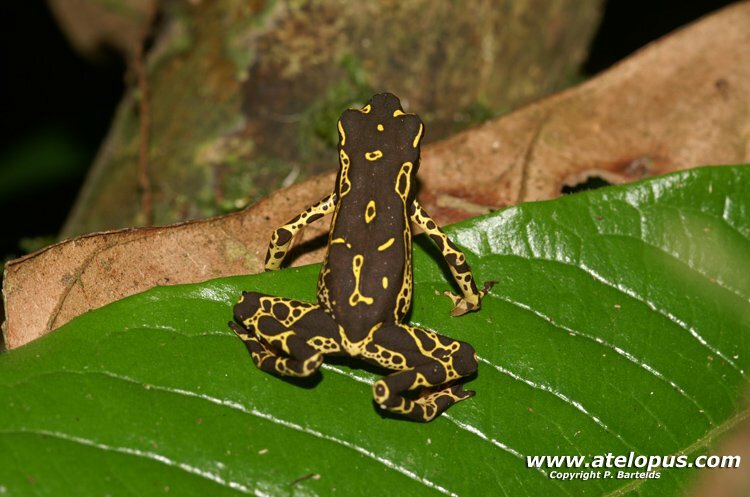 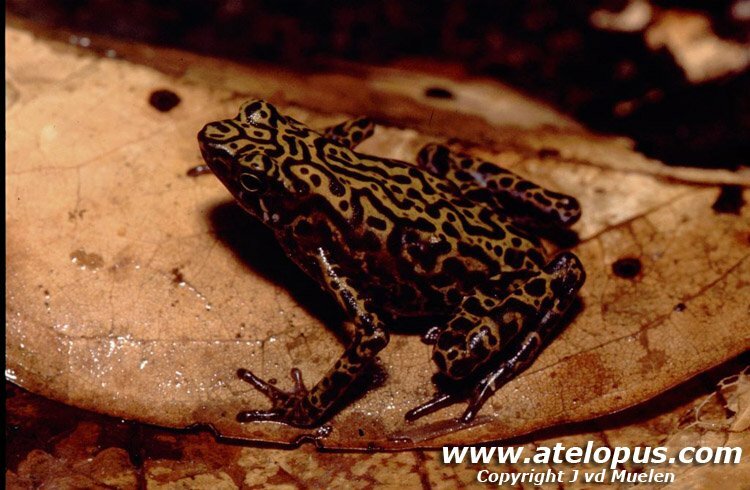 Atelopus sp. 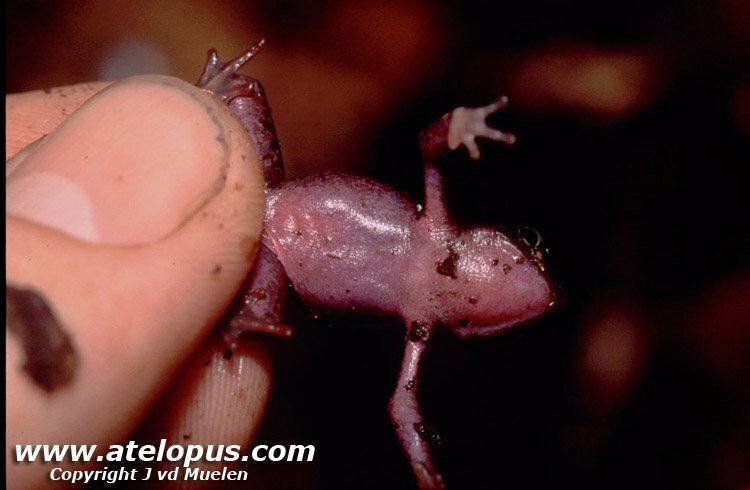 hoogmoedi - male. 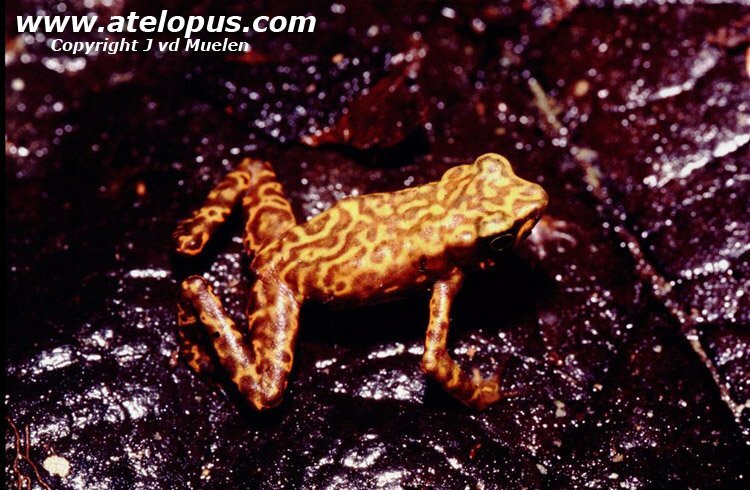 Population Rosevelt Peak - Surinam. 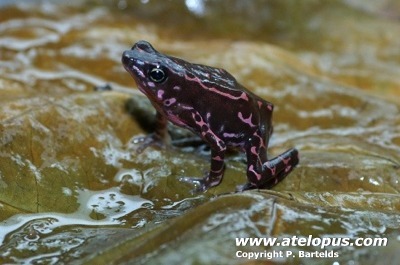 Atelopus sp. 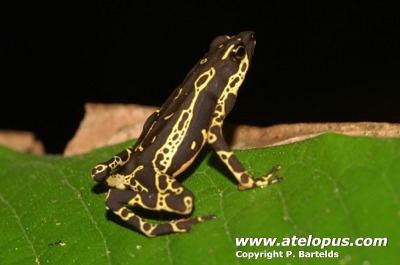 barbotini - male. 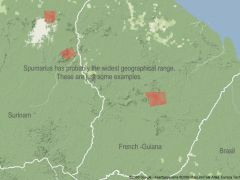 Population Saul - French Guiana. 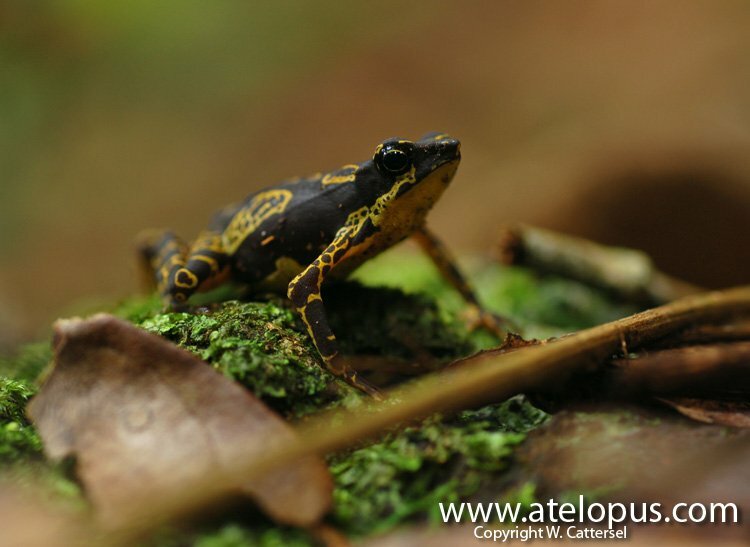 Formerly this group of species was called Atelopus spumarius but this is several species that is diffrent from the real Atelopus spumarius in Peru. 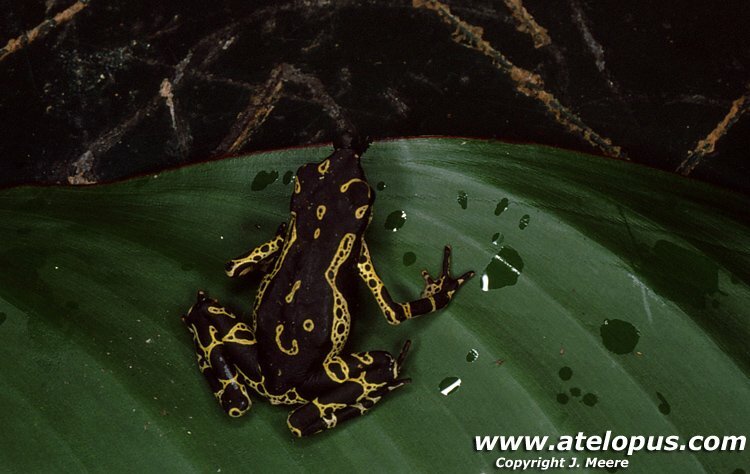 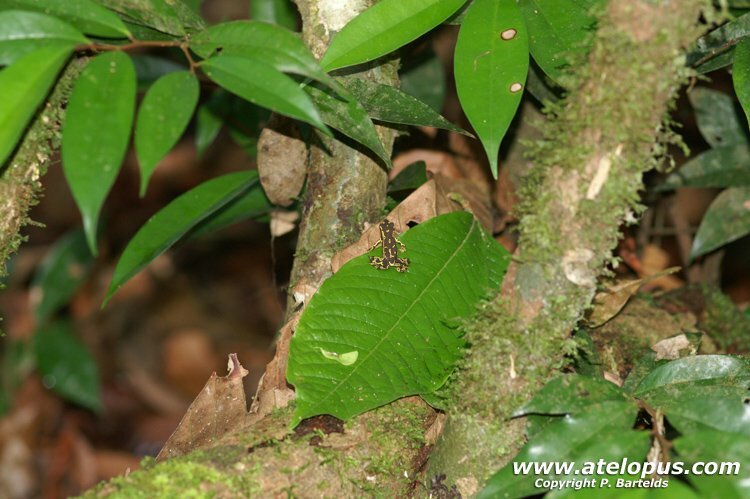 This is a group of frogs that contains several species of Atelopus but it has not been cleared out how many and how they are related. 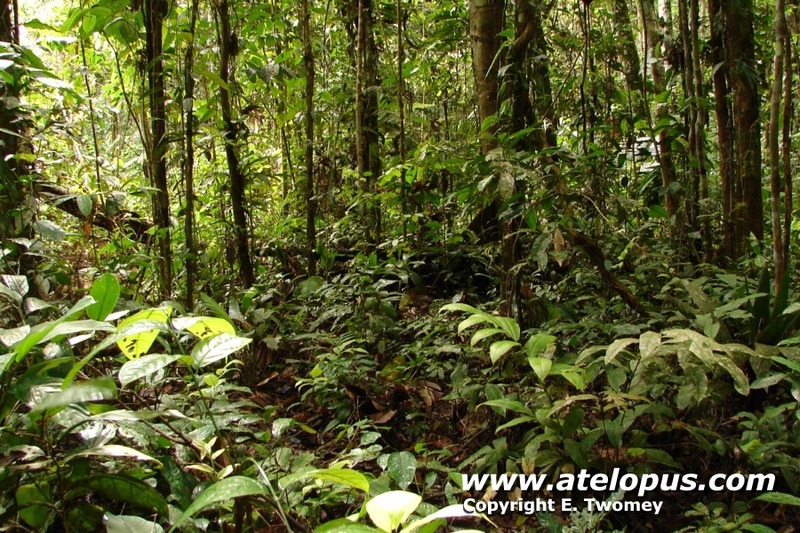 DNA and the future work in progress in the area will hopefully clear this out better. 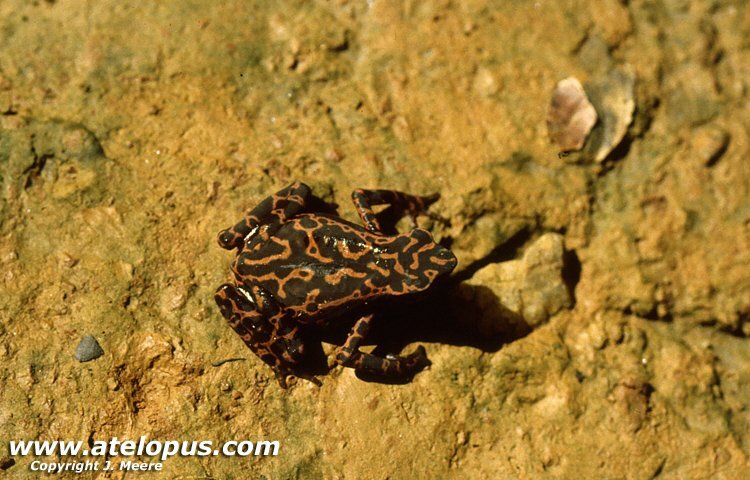 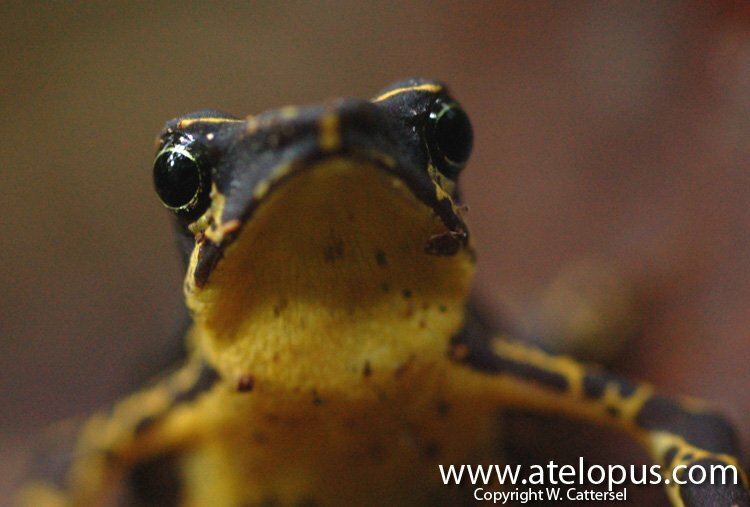 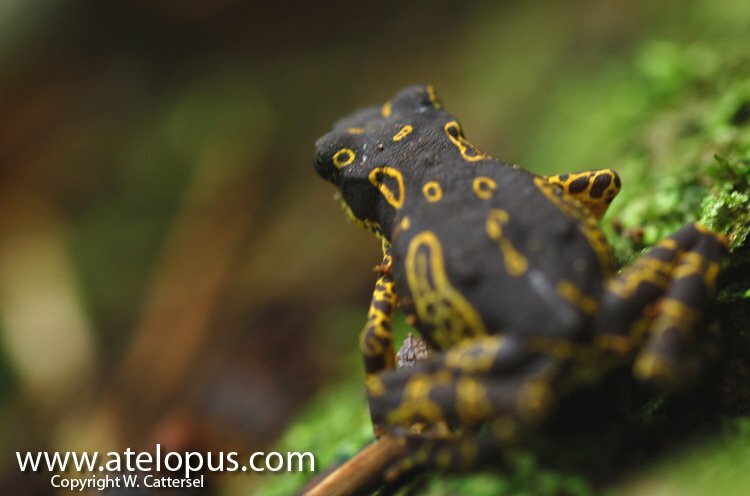 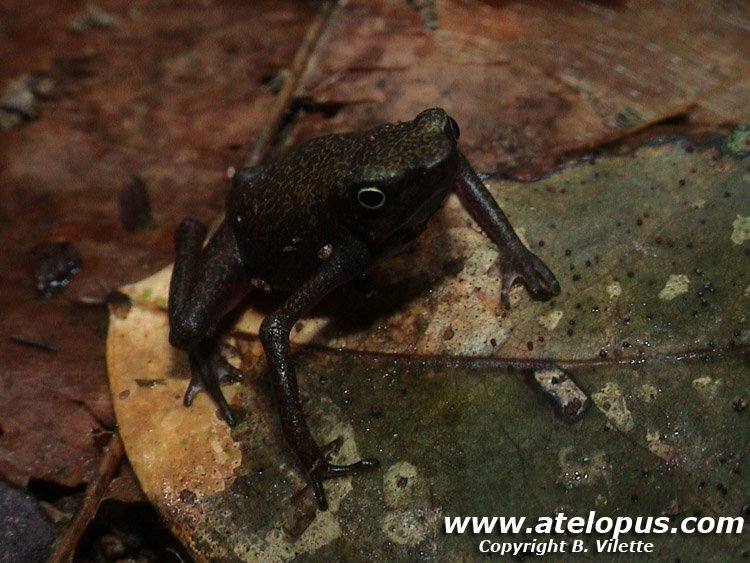 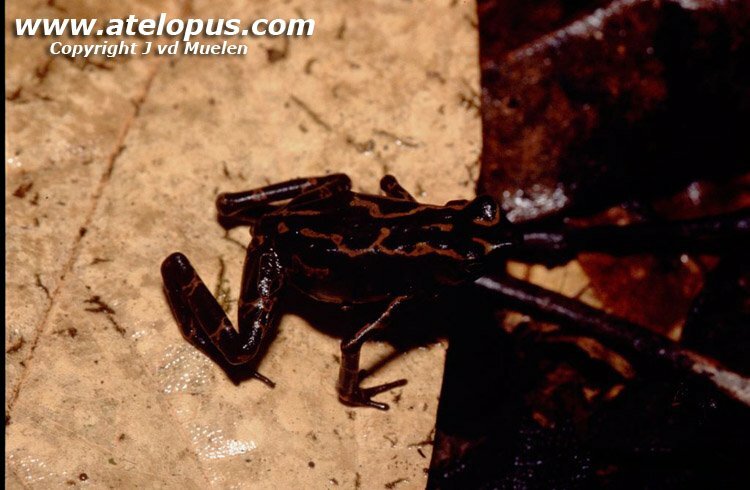 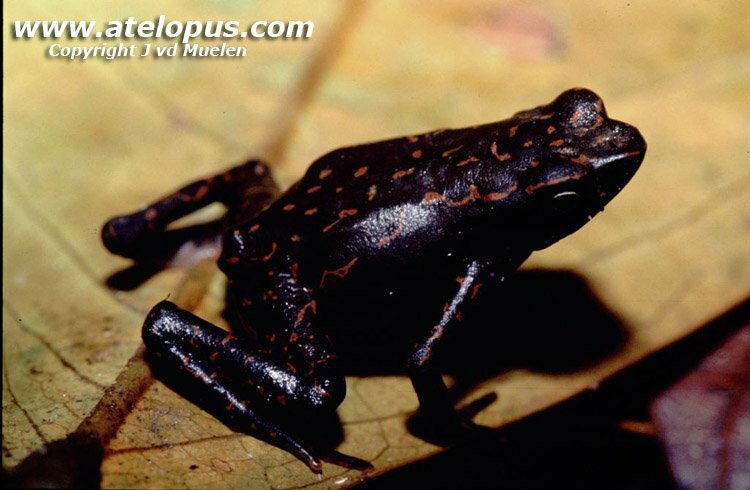 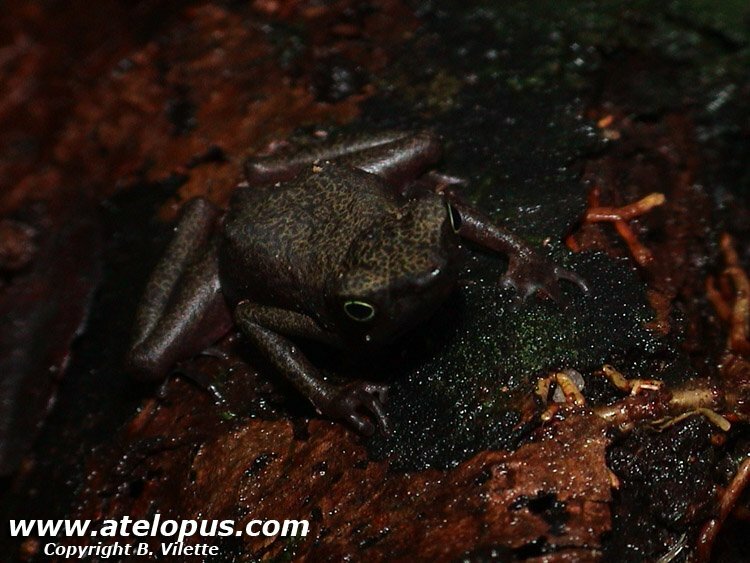 We decided to remove this frogs from the Atelopus spumarius group here at the website in an attempt to stop the missunderstandings and mixups for people trying to learn about these species. 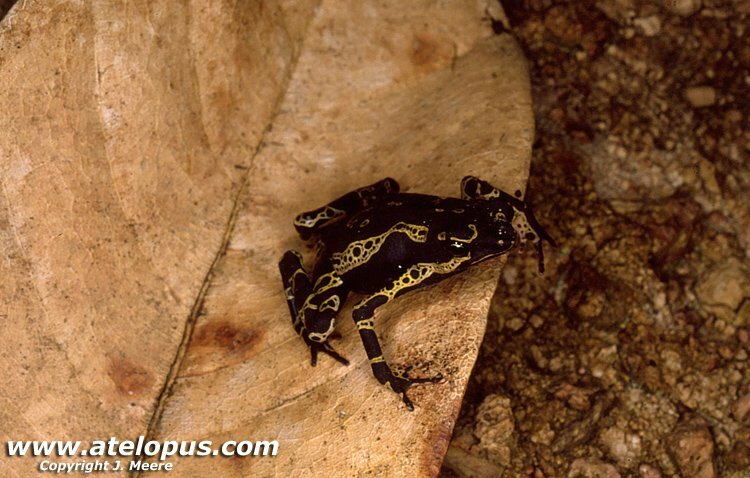 These species have been called everything from A. spumarius to A. flavecens and now they are mostly called by their morph names. 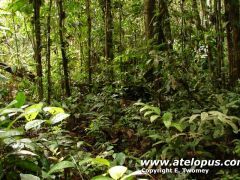 I think this is a good idea until there is more research done on these specie/species to clear it all out. 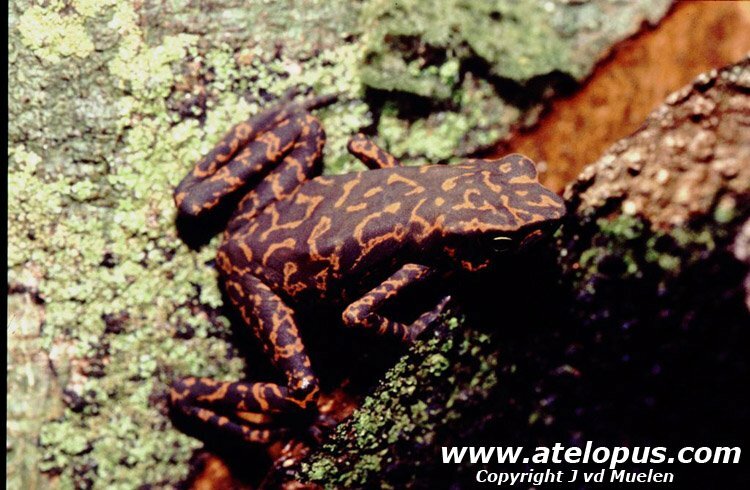 There is a group of biologists working with this so hopefully there will be answers at this soon. 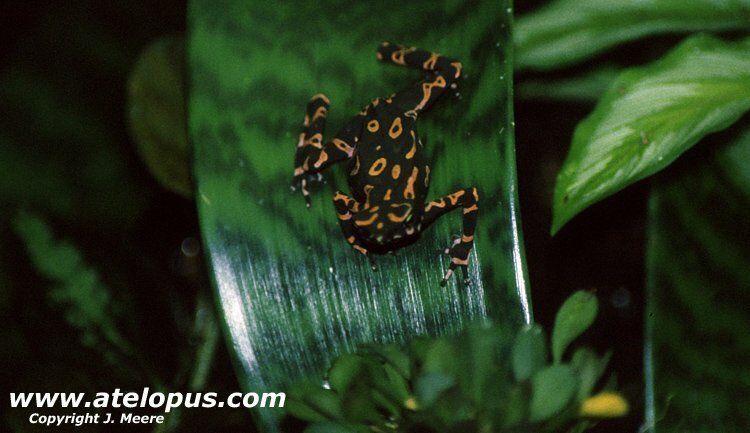 Native to Guyana and Surinam. 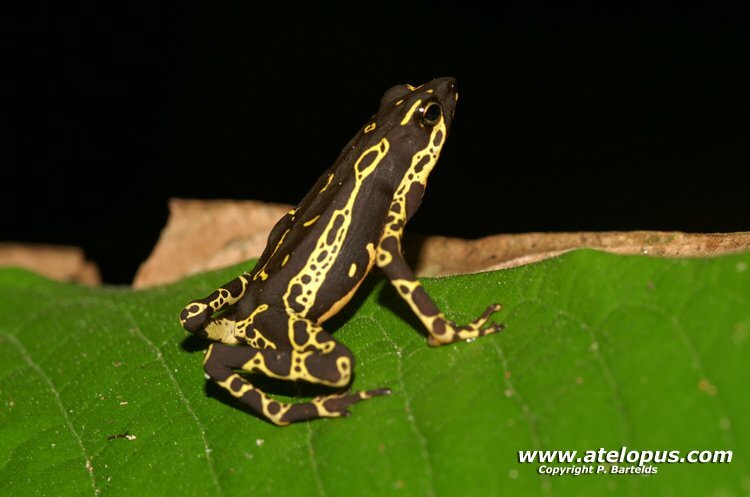 This species is endemic to French Guyana and Surinam. 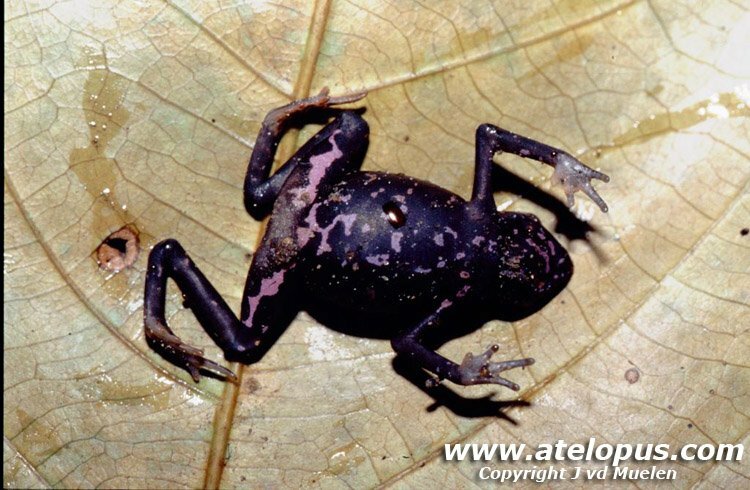 It is a low-altitude species, occurring at 10-730 meter above sea level (asl). 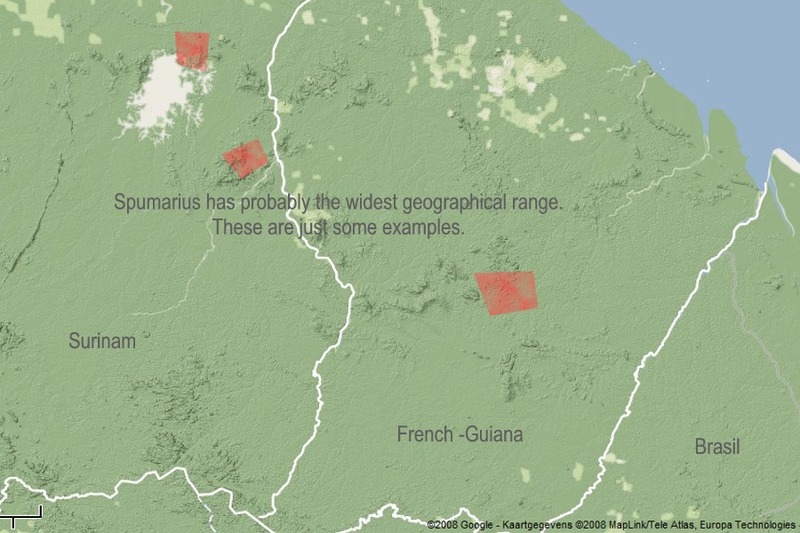 A few localitys of the huge Geographic range. 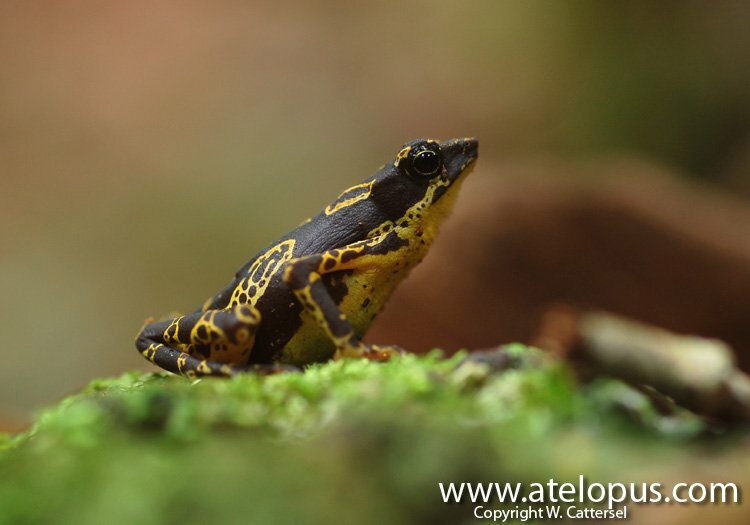 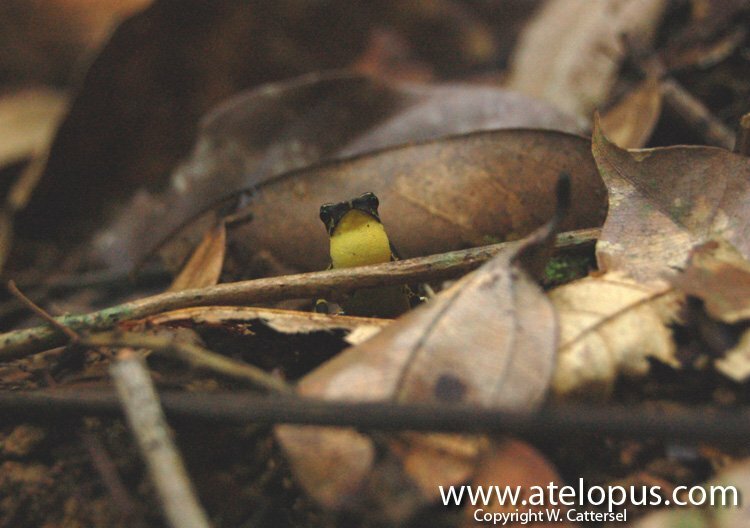 Habitat for Atelopus spumarius, Peru.